« Was Abolitionism a Failure? 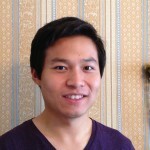 My name is William Yin and I am a volunteer at OHC. I lived in Oberlin a few years during high school and have always had an interest in history. In 2014 I graduated from the University of Washington with a BA in History. Currently I am working on my commercial pilot license out of Lorain County Regional Airport. My second project was transforming an old database of photographs and descriptions from an internal server to pinterest.com. Most of the the photos are taken within Oberlin City limits, documenting people, architecture and events. I learned much about the city’s history through this project. It is fascinating to see how businesses and people transform with the passing of time. I came to the realization that we are all transient beings that are just a slowed down form of light, radiating energy to our surroundings. I take pride in documenting local history and making it more accessible to the public, so that more and more people could reach out for their common past. This entry was posted on Tuesday, February 17th, 2015 at 2:58 pm	and is filed under Student Projects!. You can follow any responses to this entry through the RSS 2.0 feed. Both comments and pings are currently closed.